Gloria Trabulsi Barsa, a longtime local resident, passed away on January 18, 2019 in Charlotte, N.C. She was 94. Born in 1924 in Brooklyn, N.Y., she was the daughter of Nesib and Lily (Hamad) Trabulsi. She was raised in Brooklyn, where she attended Berkeley Institute and then continued her education at Endicott College in Beverly, Massachusetts. After college, she returned to Brooklyn where she becomes involved in the Colony House Junior Guild of Brooklyn and the Hospitality Committee for United Nations Delegates. During that time, she had the pleasure of entertaining many diplomats and families of foreign leaders. 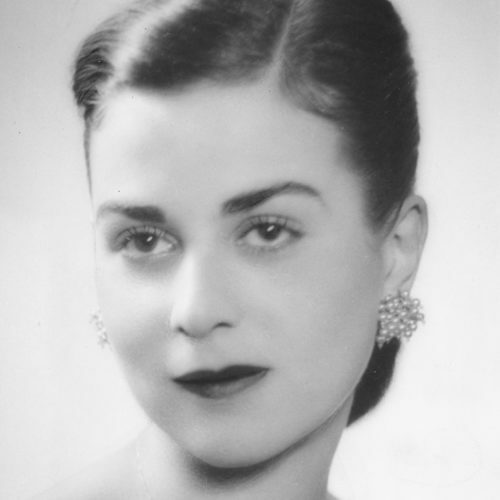 In 1949, she married Albert Simon Barsa in the Trianon Room of the Ambassador Hotel in Manhattan. The couple resided on Riverside Drive in New York City until 1956, when they moved their family of four to the home they had built in Rye. Mrs. Barsa continued her work with the United Nations and become an active member of the St. Vincent’s Hospital Auxiliary. In 2010, after five years of living at Westchester Country Club, Mr. and Mrs. Barsa moved to Charlotte, N.C. to be closer to their daughter. Gloria Barsa was an avid reader, and she enjoyed cooking, entertaining, flower arranging, and decorating. She is survived by her daughter, Barbara and son-in-law Jim Jamison; her daughter-in-law, Susan Barsa; and four grandchildren: Albert and Christina Barsa and Kyle and Blake Jamison. She was predeceased by her husband of 66 years, Albert Barsa; her son, Albert Barsa Jr.; and her two brothers, Ronald and Lawrence Trabulsi. A memorial celebration of Mrs. Barsa’s life will be held in Charlotte.